As I lay on my couch under a fleece blanket with a space heater blowing my way I am sort of happy that winter is not yet gone. Why would you be sad to see it go when you can get all classed up in a fur from generations ago? 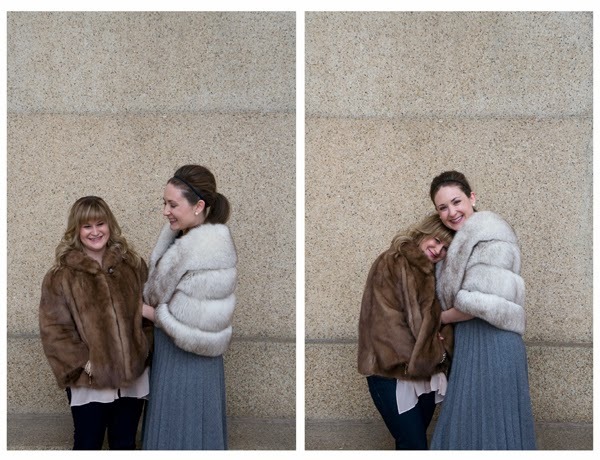 Laurie and I love the style our grandmother and great-grandmother passed down to us in their beautiful furs. What a great addition to your everyday or evening looks! And maybe for a special outing on this upcoming Valentine's Day? I may have to get festive and wear mine to work Friday. 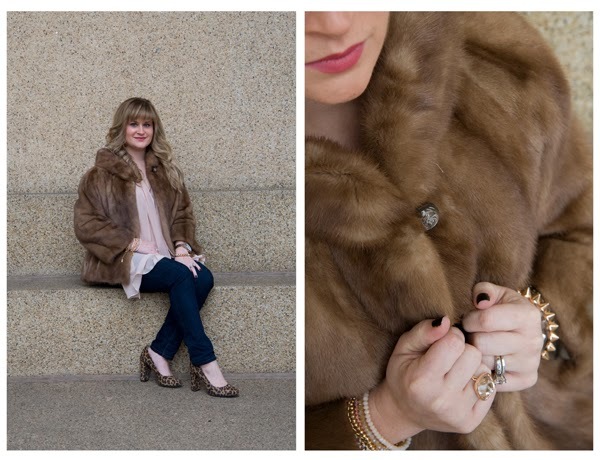 Laurie wore her fur on her wedding day and looks just as fabulous dressing it down with a pair of jeans and a classy pair of pumps. I, however, did not wear my fur during our August wedding. I may have been seen wearing my great-grandmother's other fur this past November in my bro-in-law's wedding. It was perfect. Even more perfect is wearing it out with a little vintage number or two like my thrift store wool, pleated skirt. I challenge you guys to look back a decade or two or five and try your grandma's style. Macklemore loves to take your grandpa's style. P.S. Remembering Mrs. Betty Sue Henry and Mrs. Alma Davis. There is always love in our heart for these two women. 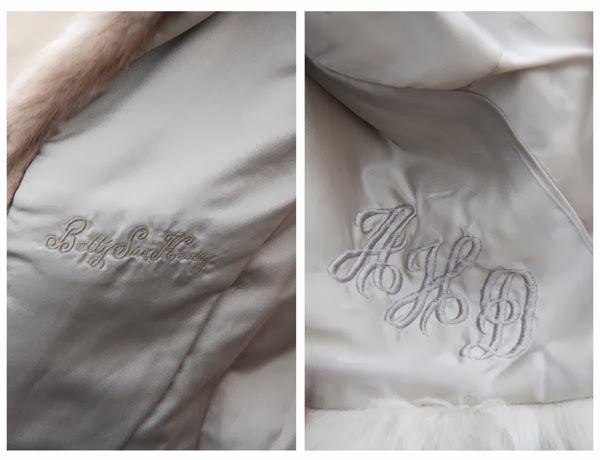 You can't have class without a monogram...Oh the places these furs have been. 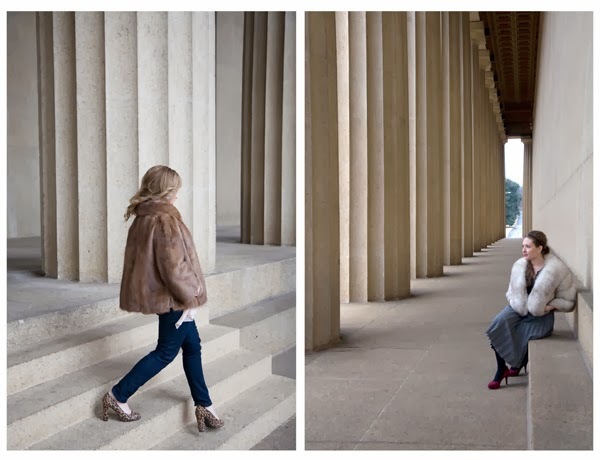 We were so warm and cuddly on this chilly day at the Parthenon in Nashville. Oh, and so I don't get an earfull...shout-out to my main man for pushing the shutter button for us. Thank Goodness I Found: Hints of Spring! Gardening Season - Spring is Almost Here! First Friday: Get out there!